My daughter Grace and I have been discussing this concept for many years and this seemed like a good way to catalog some of the amazing things I saw during a recent trip to South Africa with friends. 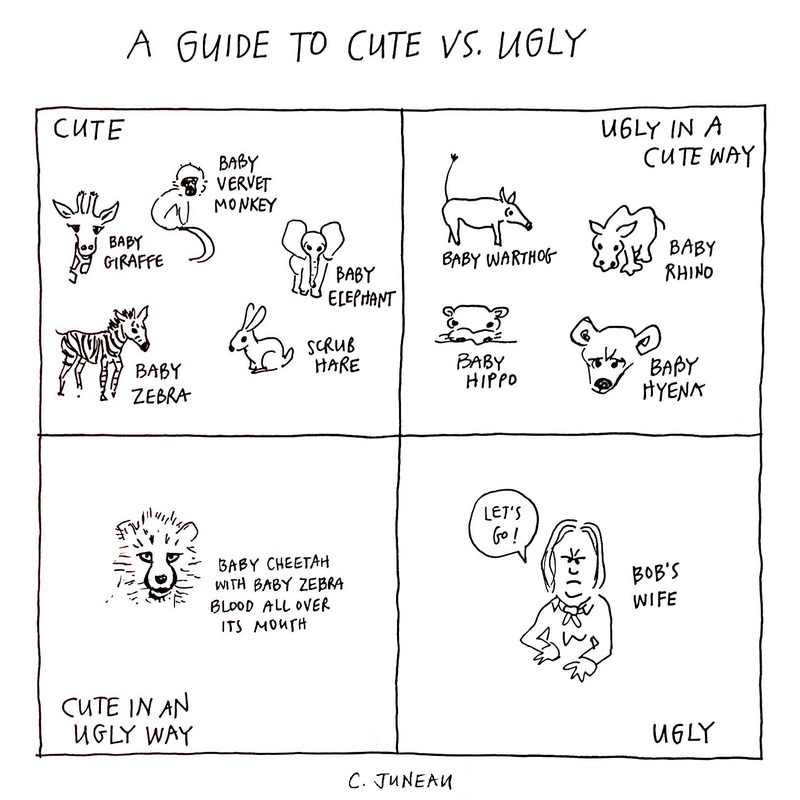 From the very beginning, the the upper two quadrants have always contained animals, typically baby animals, while the bottom two quandrants have contained people. So it should come as no suprise that the only thing I encountered (including four snakes) that qualified for the Ugly quadrant was an all-around unpleasant American woman who happened to ride in our Rover one day. After several failed attempts to introduce ourselves, we gave up. We never did learn anything about her, except that her husband’s name was Bob. In hindsight, and after going through my 2,200 photos, I do believe that baboons might also qualify to be put in this most unfortunate quadrant, but it’s too late now. This entry was posted in Travel, Uncategorized and tagged Cute vs. Ugly by christine. Bookmark the permalink.